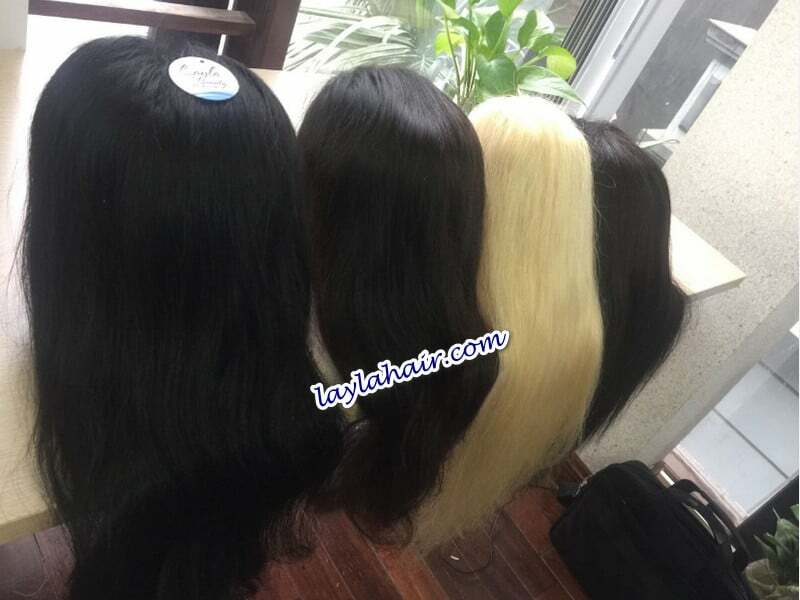 Frontal lace wigs human hair is basically thin wefts sewn together, adding lace in frontal part to make it durable and wearable which are made 100% real human hair. 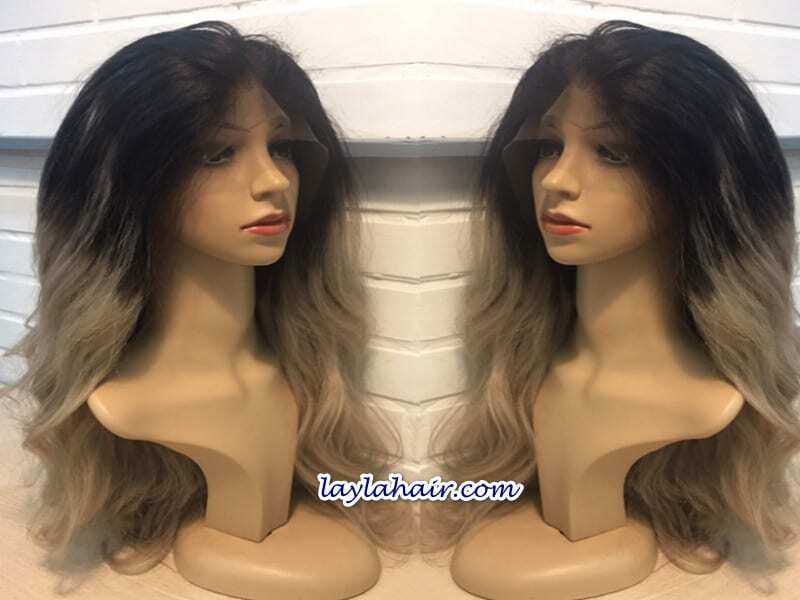 Layla Hair supplies frontal lace wigs human hair with length from 8 to 30 inches, all colors and many styles which are suitable for every customer, especially thinning hair or bald people. Let follow our articles to have more information about frontal lace wigs human hair. Frontal lace wig human hair is one of the most trendy hair extensions. Let me describe it by three words: natural, gorgeous and convenient. However, finding the best one in the market is not easy. Today’s article will help you answer all questions regarding about. What is different between frontal lace wig human hair and frontal lace wig synthetic hair? 1 What is different between frontal lace wig human hair and frontal lace wig synthetic hair? 2 Where to buy frontal lace wig human hair? 4 Why choose frontal lace wig human hair? 4.2 The second reason is that frontal lace wig is usually lighter and much more comfortable than full lace wig. 4.3 Thirdly, the price of front lace wig must be cheaper than full lace wig. 5 Who needs frontal lace wig human hair? – It always brings natural feeling when you touch and look at. Moreover, it has versatility of style as compared to frontal lace synthetic hair that does not change its origin shape. Frontal lace wig human hair can be dyed, blow-dried and treated like your bio hair. – Frontal lace wig human hair price is higher and need you to care more. – Frontal lace wig synthetic hair has poor heat-resistance and can melt near heated places such as fireplaces etc. – May last around three months or so. – If you try to change different style for frontal lace synthetic hair, it will probably become very frizzy and melt. – Cheap and you can buy any colors or any styles you want easily. These views may make you hesitate before buying frontal lace wig hair, but we sure that frontal lace wig human hair bring you a natural and perfect look. So, which place can you purchase high quality frontal lace wig human hair? Where to buy frontal lace wig human hair? Smooth, shiny, tangle free, shedding free . Can be dyed and styled. Layla Hair has staffs who support 24/7 every customers. Moreover, we are always ready to answer your questions or comments about frontal lace wig human hair. Our products are diverse about length, color and style. In addition, the price of each type of frontal lace wig human hair is completely suitable for market and your budget. We will consult you so that you choose frontal lace wig human hair properly. Why choose frontal lace wig human hair? Let me hear the reason why you choose frontal lace wig human hair. Hereafter, I will give some reasons you should choose them instead of other types of human hair extension. when you wear them exactly, no one know that you are wearing a wig unless you tell them, even they also think the wig hair is actually growing out of your own head. The second reason is that frontal lace wig is usually lighter and much more comfortable than full lace wig. It is flexible enough to style following your hobby and on this way you can strengthen your natural look. Thirdly, the price of front lace wig must be cheaper than full lace wig. Reason is with full lace wig, workers have to take more time to finish one product because they sew all head by hand while frontal lace wig needs shorter time for sewing the front and the rest by machines. I completely know what the customer want and need and understand why many people like saving money. Finally, many customers need frontal lace wig for many their own purpose. Who are they? And who need frontal lace wig human hair? Who needs frontal lace wig human hair? First of all, lace front wigs human hair are also an extremely effective resolution for people who suffer from early balding, alopecia, hair thinning or hair loss owing to treatment with the use of chemical substances. This method is not only convenient, but also simple because it is easy to apply and use in any cases. Besides, although you don’t have above problems, frontal lace wigs human hair may be the best choice if you just change your daily hairstyle. All purposes tend to use frontal lace wigs human hair as same as your natural hair. Thus, the way you care for them is the same way you care for your bio hair. 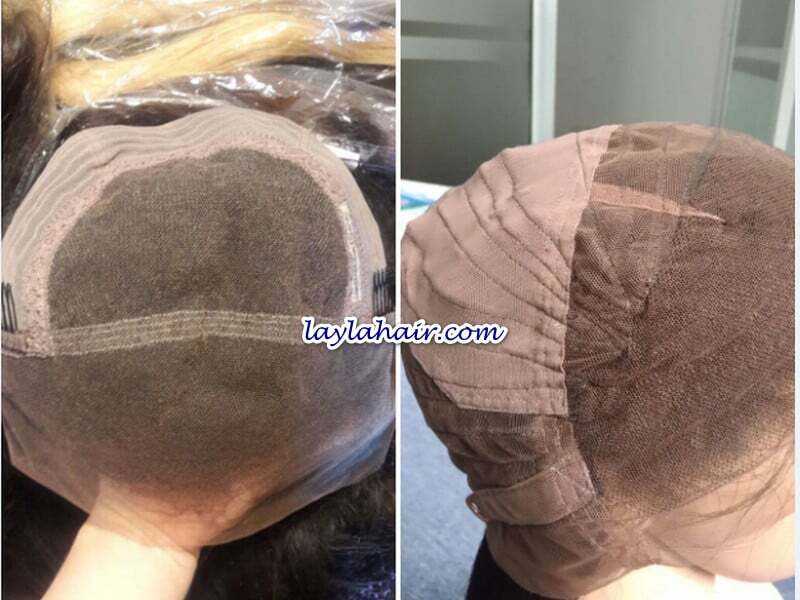 How to use frontal lace wig human hair in long time? Frontal lace wig human hair as well as products from human hair needs special care. I hope you can have a great frontal lace wig human hair as you desire! 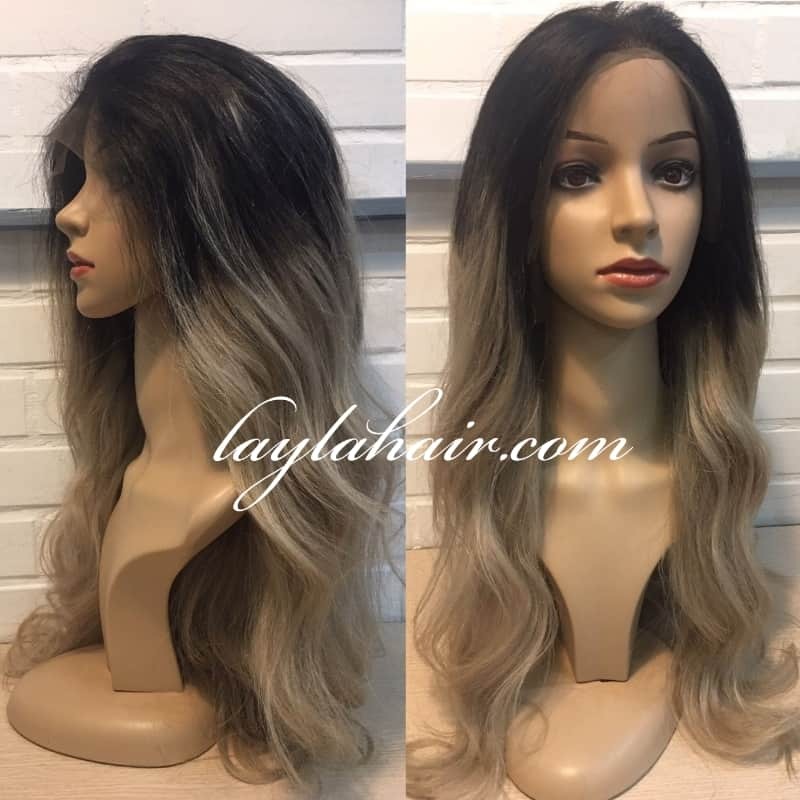 Frontal lace wig human hair is always available on Layla Hair store. Visit website or contact us by WhatsApp(+84) 989 633 424 to choose the most proper frontal lace wig human hair. Layla Hair is willing to serve our customers!